Within the ski and snowboard world, Japan has built an impressive reputation. 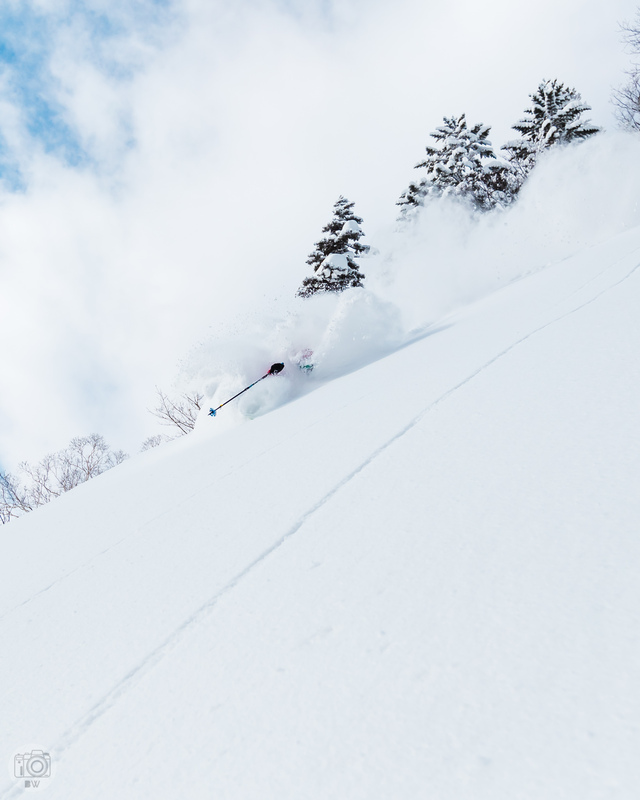 For decades skiers and film crews have been traveling to Japan for the same reason: the seemingly never-ending supply of deep, light powder. Year after year, more people travel there and continue to come back with similar tales of snow that never stops, lifts with little to no lines, and a culture so welcoming and courteous that even the most diehard patriots will consider a long-term change of locale. All of these things peaked our interest and motivated our journey to the Land of the Rising Sun. Why people go to Japan, in one photo. Ask any skier or snowboarder what their favorite type of skiing is, and you’ll almost unanimously get “powder” as the answer. I don’t know what it is about sliding down mountains on a blanket of freshly fallen snow that is so uniquely satisfying. Even after 25 years of sliding down slopes, I had never bothered to specify why it is so dang fun. Whether it is just because a good powder day is a scarce resource, or that it invites excited camaraderie among friends, or the ability to effortlessly float down the mountain, no matter the terrain, that makes those days in the mountains so cherished—I’ve never felt a reason to define what makes those moments so unique and sometimes downright surreal. It’s not a question that science can answer—just something magical and a little bit different for each one of us. Regardless, the pursuit of powder has been entrancing generations of skiers for decades, almost as though it is the magic pixie dust drawing all the lost boys and girls to Neverland. Japan was our Neverland, and after all these years of wishing we were ready to take the leap. Admittedly, this wasn’t my first time to Japan. My maiden voyage to the land of the falling pow was this same time last year. The experience was special enough to seduce me into returning to Hokkaido again. Perhaps it’s the start of an annual pilgrimage, but it is too early to tell for certain. My friend Andy, who was among my travel partners last year, and I were leading two more of our childhood friends on their first international ski trip. There is so much information on Japan it can be overwhelming at times. Every trip report or new edit pulls you towards different regions, time frames, and flight itineraries. 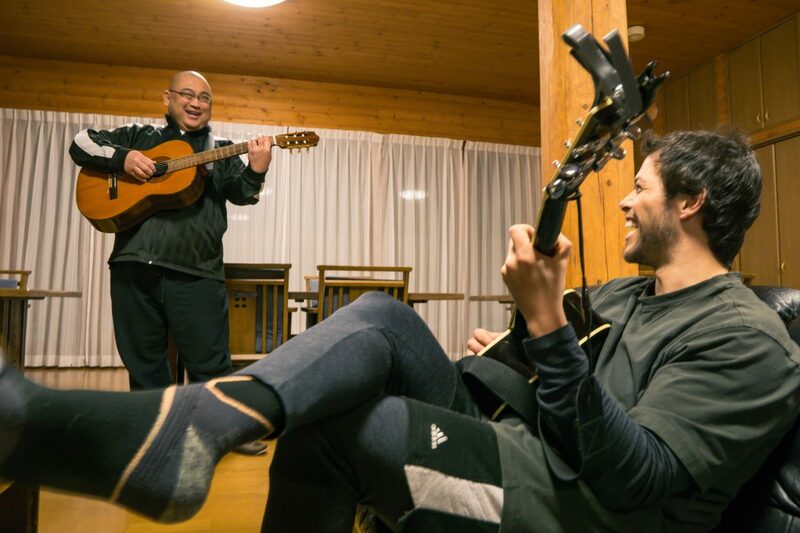 Both years, we decided on traveling up to Hokkaido, the northern island of Japan. Hokkaido typically receives more consistent snow conditions thanks to colder, drier storms that arrive more frequently. 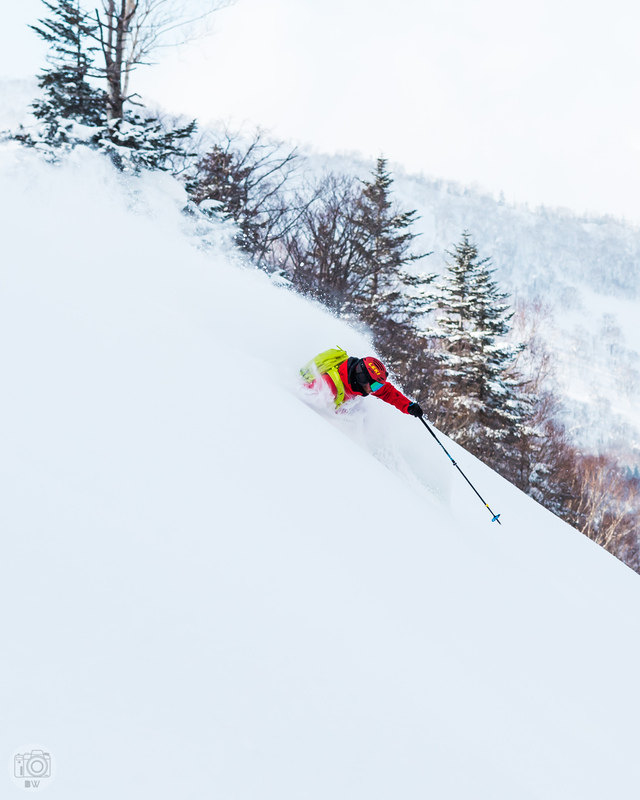 Our primary goal was to ski powder every day until our legs couldn’t muster another turn and hopefully ski some of the lightest and deepest snow we had ever experienced, and Hokkaido sounded like the place that could deliver. It certainly helped that Kiroro Resort was a part of the Powder Alliance and all of us would have three free days of skiing on our Sierra-at-Tahoe passes from home. 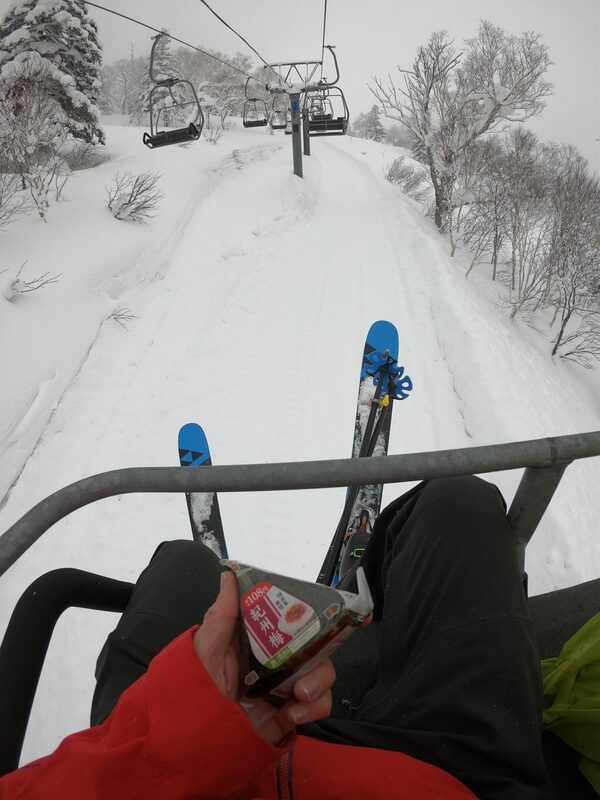 When traveling overseas on a 20-something’s ski budget, every hack makes a difference. Rice triangles — indispensable for the poor man's Japan trip. The main challenge when traveling to Japan is finding lodging. A booming tourism business keeps the prices of lodging going up and availability continues to drop. Thanks to a friend we managed to find a lodge in the small village of Akaigawa to call home for the trip. After many years of traveling the world mainly for halfpipe contests and leisure, I have found there are two main ways to travel abroad. The first way is to choose many locations to stay during a trip and travel between them. This way you can physically see more of a country, but you end up spending a substantial amount of time in the car as well as packing and unpacking along the way. The second is to stay in one place and visit places that are within a distance that you are willing to drive to and from. The beauty of this style is that you spend enough time in one place to really connect and discover the town and community that calls it their home. We opted for the second travel method this year in Japan, settling on the small village of Akaigawa, which is conveniently located 20 minutess from Kiroro, 45 minutes from Niseko and only 20 minutes from the coastal town of Yoichi. Unknowingly, we also had close proximity to a handful of really fun backcountry zones that we likely would have never noticed or stopped to ski without spending the extra time in one place and befriending the locals, who eventually gave us a little beta on their favorite stashes. I’ve found that on ski trips, jet lag often becomes an almost beneficial side effect of the long travel days. It forces everyone to wake up before dawn, not because of an alarm, but instead our confused biological clocks releasing their drugs. Green tea and coffee are the only methods of making it to the end of the first few days. Each day we woke early, checked the snow reports and discussed the plan for the day over tea. By the end of the trip it became routine, just chatting about where to ski powder that day. 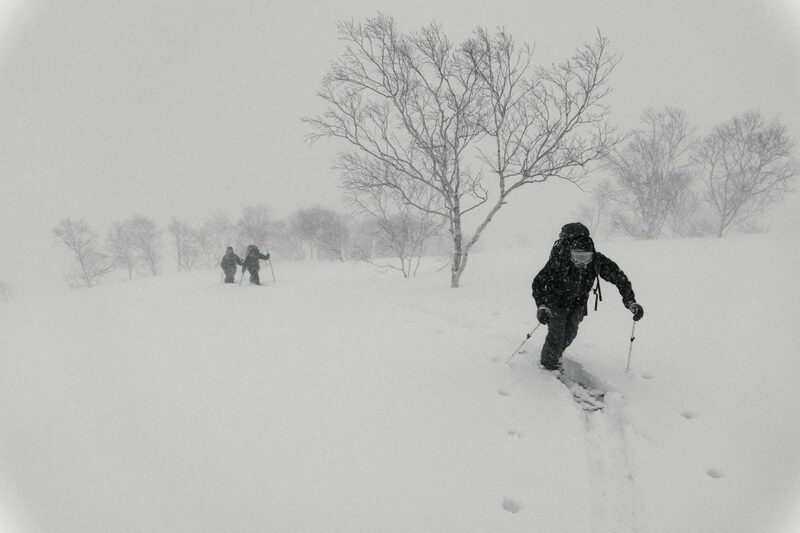 It was never a matter of whether or not we would ski powder, just where we would find deeper, less trafficked powder. Each day we felt more confident in our predictions and more comfortable exploring. 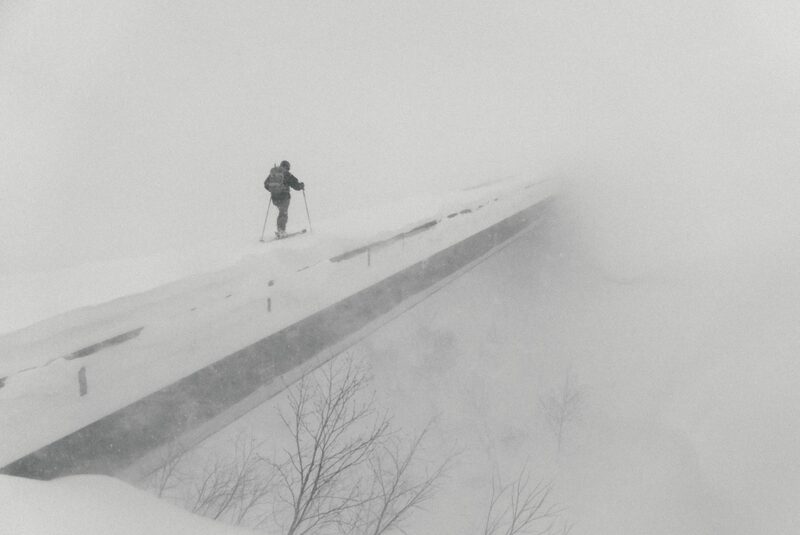 When it snows almost every single day, it becomes hard to want to journey too far from the lift-accessed terrain. Thanks to our good friend Cam, we knew many secret stashes at the resort. It was just easier to go out and ski 8-12 inches of new snow and hop back on the lift for another lap. If you've been to Kiroro, you've probably been on this bootpack. When we were willing to tour, we were always rewarded. Despite so much easy access to the backcountry it felt like we were almost always the only ones out there. We set first tracks down perfect slopes, constantly rewarded with face shot after face shot, and crested one ridge only to see three more behind it standing beautifully, blank canvases just waiting to be skied. A guy could get used to this. Despite heavy, tired legs by the end of the trip, all I wanted to do was tour. Each day we scoured the mountains from the car to spot a rad zone. Once spotted, we would quickly flip around and find a place to park and get our kit together for a nice long walk. We were never confident that our car would remain in the parking spot without being towed or ticketed, but were mostly willing to take the risk for finding new thrills and spots that feel as if we are the only ones who ever ski them. 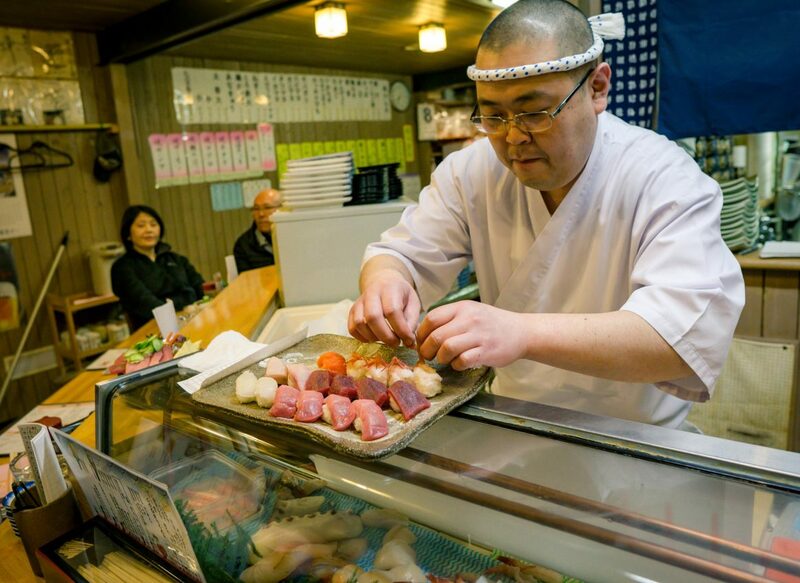 Japan rewards those willing to step outside the resort boundaries. 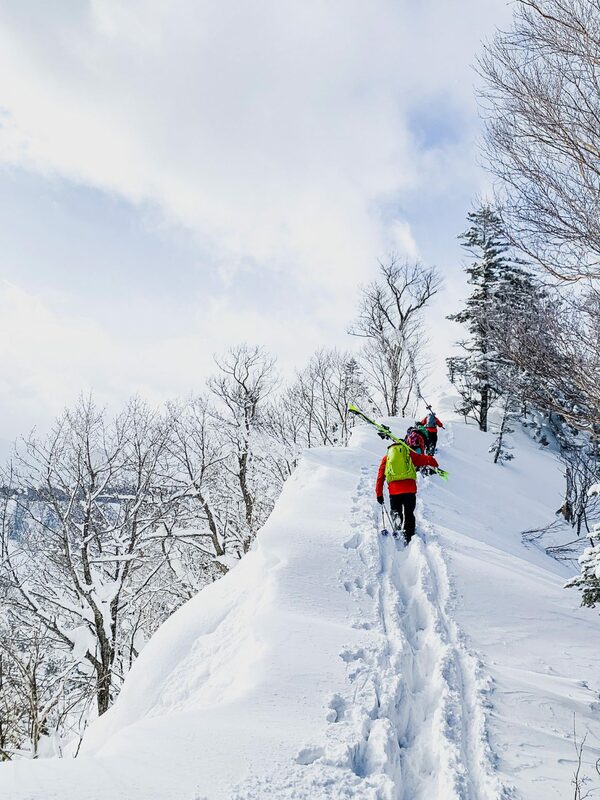 More and more people continue to tick Japan off their bucket list, so when you take the next step in discovery and leave the more crowded slopes (still basically empty compared to the US) you find what Japan really has to offer. This trip wasn’t about creating an edit or a shot list or skiing the biggest lines we could find. This was a group of friends who grew up in California binging on ski movies and online forums, out to find a new part of the world, get a taste of Japanese culture, and throw away the responsibilities of growing up, even if it only lasted a couple weeks. We all skied some of the deepest and certainly the lightest powder we had ever experienced. We made many new friends, and ate some strange and delicious foods. Along the way, Brian Walker pulled out his camera and collected little snippets of magic. It was a collaborative effort just to create something cool, because we wanted to. Thank you for watching, and I hope that it helps inspire you to take a step into the unknown and find somewhere or something new.